There’s one set of rules for us and one set of rules for our lords and masters in Congress. That’s doubly so when it comes to odious legislation like Obamacare that they inflict on the rest of us. Lawmakers and staff can breathe easy – their health care tab is not going to soar next year. …The problem was rooted in the original text of the Affordable Care Act. Sen. Chuck Grassley (R-Iowa) inserted a provision which said members of Congress and their aides must be covered by plans “created” by the law or “offered through an exchange.” Until now, OPM had not said if the Federal Employee Health Benefits Program could contribute premium payments toward plans on the exchange. If payments stopped, lawmakers and aides would have faced thousands of dollars in additional premium payments each year. Under the old system, the government contributed nearly 75 percent of premium payments. Notice here that “the problem” was that members of Congress and their staffs were going to be forced to get the same overpriced Obamacare coverage as the rest of us. 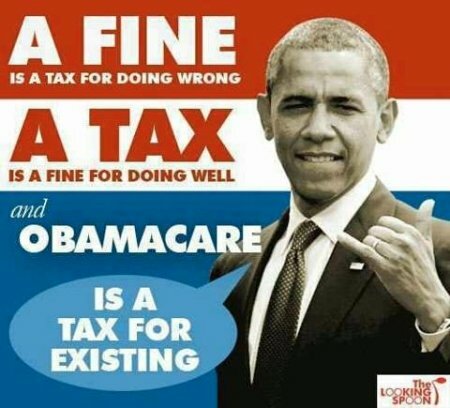 When do the rest of us get to “breathe easy” because our “health care tab is not going to soar next year?” When does the government pick up 75% of the tab for Obamacare for us? Oh right, never, because we’re the peons who are stuck with this socialistic abomination while our lords and masters in Congress get another special break that we’re going to have to pay for out of tax dollars.